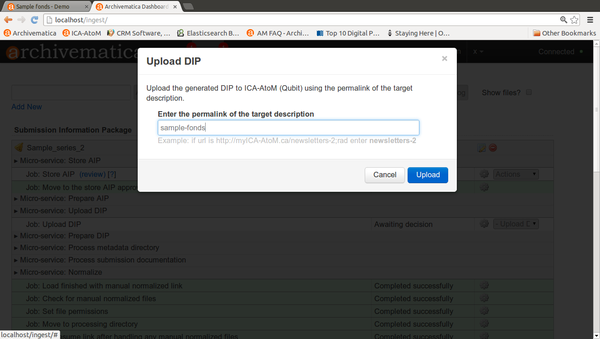 In the ingest tab, select "Upload DIP to ICA-AtoM" in the upload DIP Actions drop-down menu (figure 1). 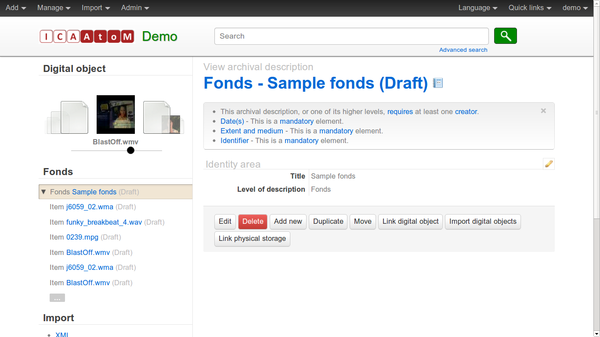 Click on "Create intermediate level of description" to create an archival description from the Dublin Core metadata you entered during ingest. If you chose not to click this box, the digital objects would be uploaded as immediate child levels of the level of description to which the DIP is being uploaded. This might be useful for, for example, a collection of digitized images which was not hierarchically arranged into lower levels of description. 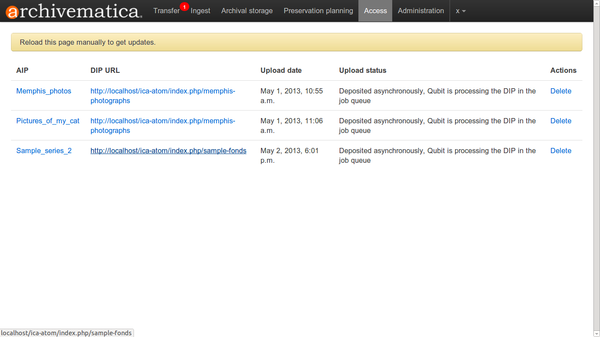 Figure 5 shows the digital object displayed in ICA-AtoM. 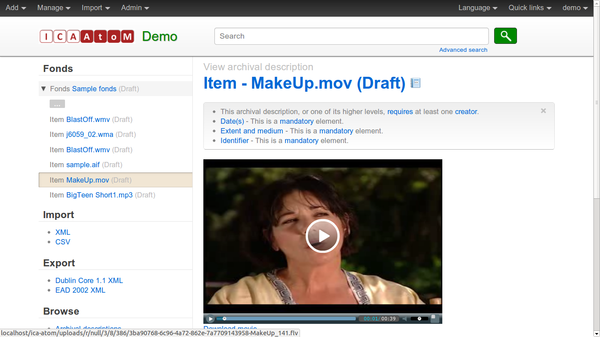 Clicking on the image will open the uploaded object.